ONE IN THE “SAME”: It’s finally Camila Cabello‘s turn at the top with “Never Be The Same”, advancing 2-1 on this week’s pop list. It’s her third #1 title at the format as a soloist, following a collaboration with Machine Gun Kelly (“Bad Things”) and her own “Havana”, featuring Young Thug. Across some of the other radio charts, “Never” is also gaining nicely in the top ten on the Hot AC (#7) and Rhythmic (#10) formats, entering the region on the latter tally, but it won’t be nearing the top 60 at Country radio anytime soon, where a new version with Kane Brown (a former #1 on iTunes in the U.S.) has been serviced. Expect “Never” to stay at #1 on the pop chart for at least a few weeks, as none of its competitors appear to be in any hurry to surge to the top. HIT THE “LIKE” BUTTON: There’s little chart action of note this week, with two new top 40 entries from LIVVIA and Big Boi, the former featuring Migos member Quavo. However, two titles do stick out among the latest round of top 50 debuts. Coming into the countdown at #48, Cardi B returns with “I Like It”, which many fans indeed seem to like. The track is a collaboration with Bad Bunny and J Balvin, the latter of whom now has three hits, all duets, currently positioned just below the top 50. It’s an interesting coincidence, and it’ll get even more intriguing if all three manage to enter the top 40 during the same week. (It doesn’t seem likely at this point, but you never know!) One notch lower, at #49, is another bad act doing good numbers. 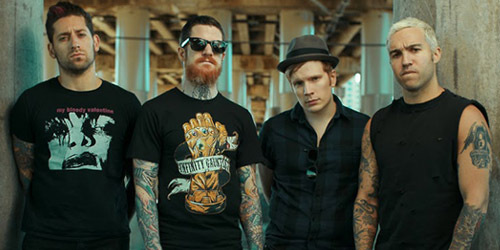 “Zombie” is currently at #1 on the Active Rock chart, and it’s new on the pop survey for the quintet who call themselves Bad Wolves. As most people know, the single is a cover of the 1994 song by The Cranberries, and was meant to feature that band’s leader Dolores O’Riordan before she died suddenly in January. Now, the Wolves find themselves with a surprise hit ahead of their debut album Disobey, due next week. You’ll also find Ne-Yo‘s new collaboration with Bebe Rexha and Stefflon Don, “Push Back”, sneaking in at #50. 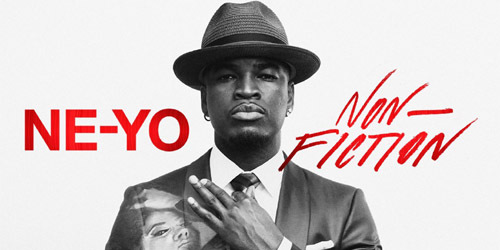 Ne-Yo’s Good Man set is due this summer. Rexha’s springtime hit with Florida Georgia Line, “Meant To Be”, slips to #5 on the latest update.